Buying one of the best soundbars by Consumer Reports is a surefire way to amp up your couch potato sessions with amazing audio. These devices are also a convenient way to add better sound quality to your home theater setup without eating up a ton of space or adding a haze of wires for you to manage. Buying a model from Consumer Report’s best soundbars also drops the time you waste from building a full setup and lets you go straight to visual and aural paradise. The Samsung HW-K950 wraps up the capability to produce Dolby Atmos 3D surround audio in a slim and streamlined package that’s worth every dollar spent. This sophisticated and full-featured audio device lets you plug in a 4K display to create a sound that matches the clarity and crispness of the picture. Samsung’s Audio lab specially tuned the Samsung HW-K950, plus it can convert content up to 5.1.4 channels for an unrivaled listening experience. The Sonos Playbase is the easiest to use out of the bunch since it plugs directly to your TV and requires minimal setup. The device doubles as a stand for your flat screen while offering fantastic sound and compatibility with Amazon Echo and Alexa. You can even add two Sonos Play 1s and a Sub for an immersive surround experience. The Yamaha YAS-207BL is the king of budget soundbars due to its fantastic audio quality that can go head to head with upmarket competitors. The device is capable of virtual 3D sound emulation, whether if it’s from your TV or your mobile device (via Bluetooth). 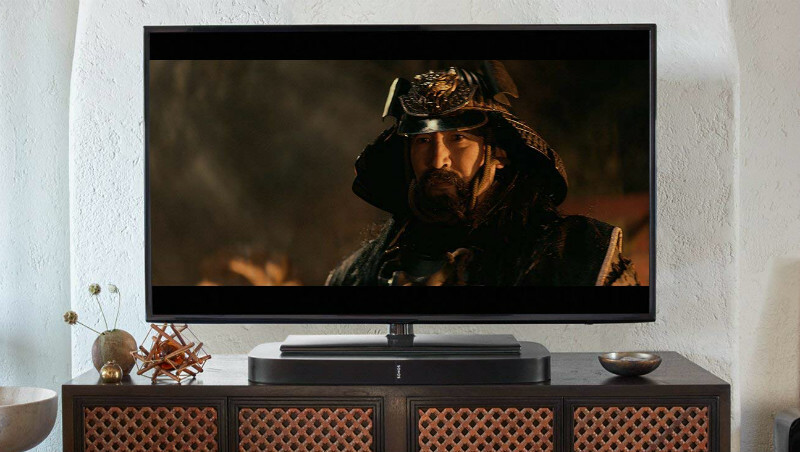 The Yamaha YAS-207BL is easy to set up with an HDMI, optical, or analog connection, but what blows everything else out of the water is its fantastic wireless sub with decent power.